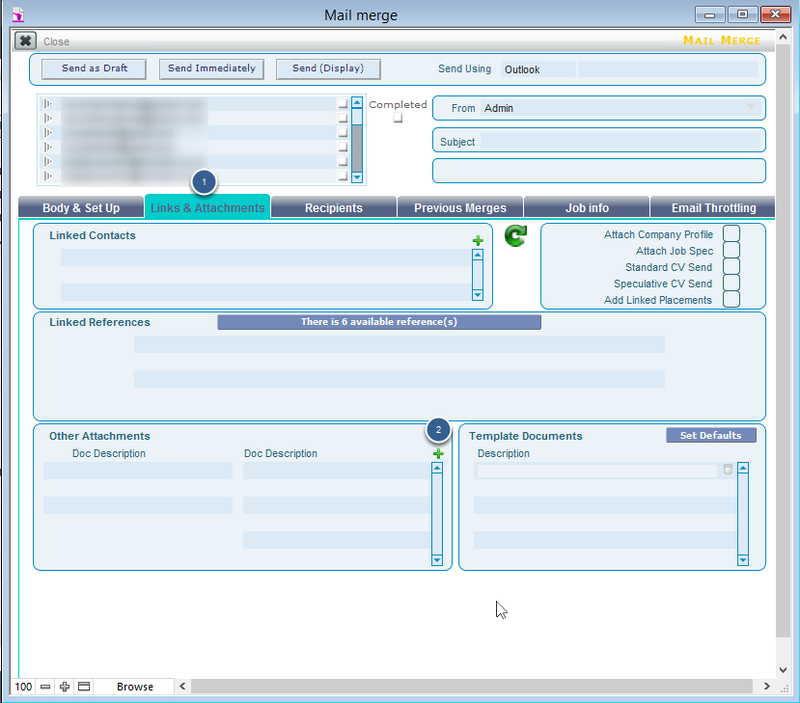 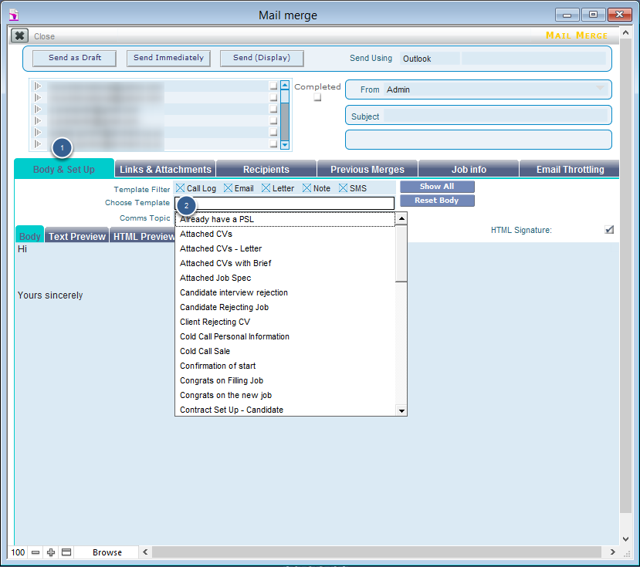 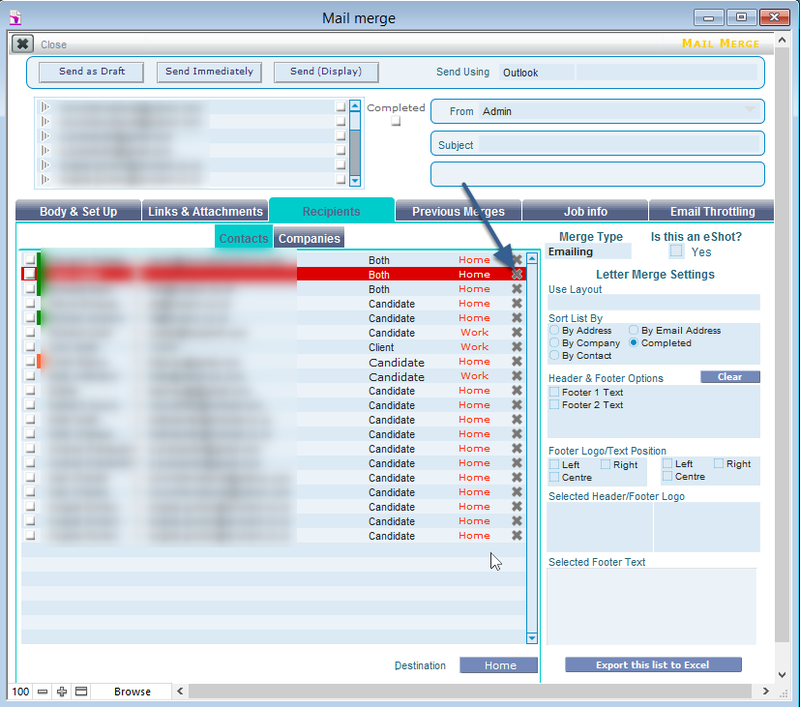 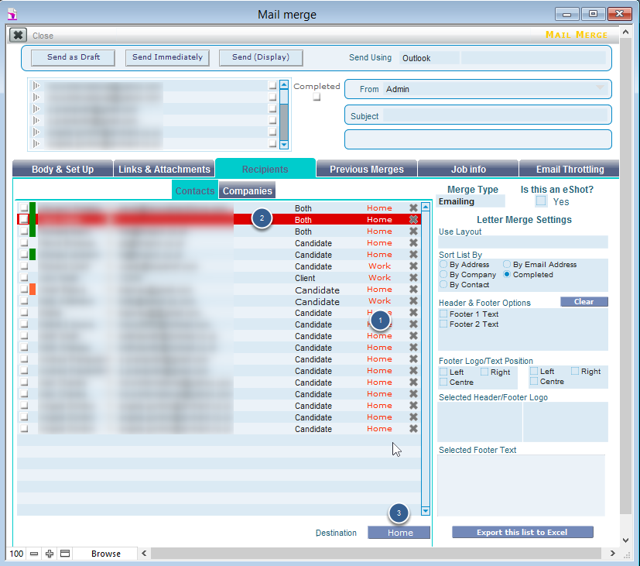 A Mail Merge is a communication sent to more than one person. Note: By default any email mail merges will be sent to the home email address. 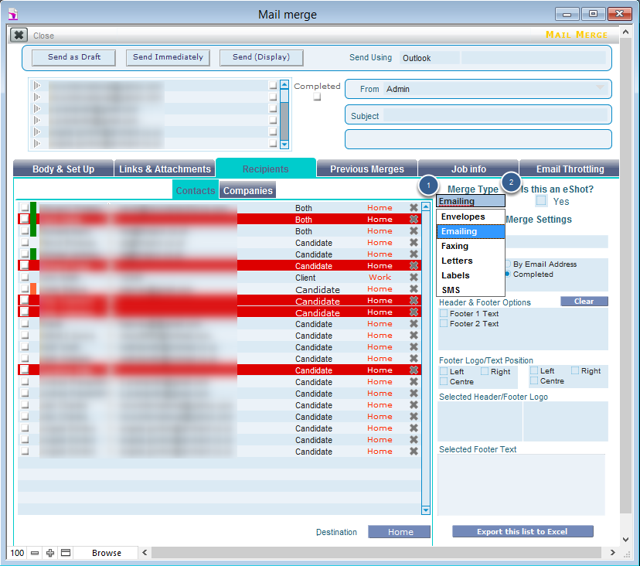 Note: Any record coloured red indicates they do not have an email address stored against their record. 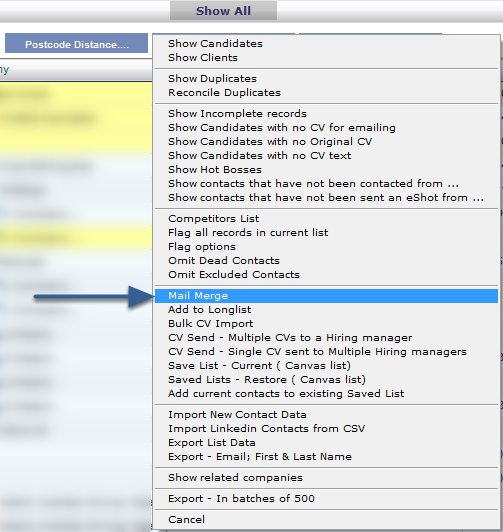 To change all the records in one go, click the Home button next to the Destination field at the bottom of the list.